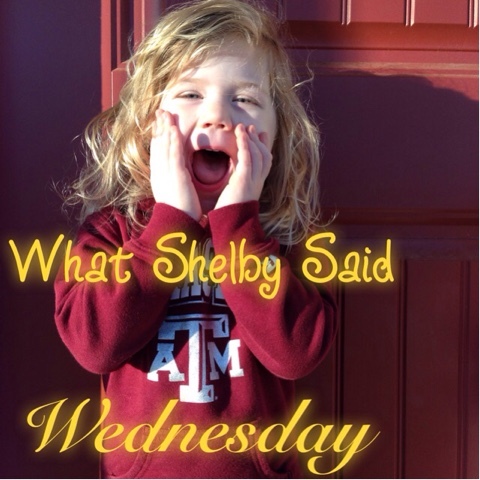 Amanda M. Schreiner: What Shelby Said Wednesday - Probably Not! Shelby's favorite phrase lately seems to be "Probably not." Are you ready to get dressed to go to the library? Can Tori have a ride in the wagon? Snowball? Yes. Tori ... probably not. 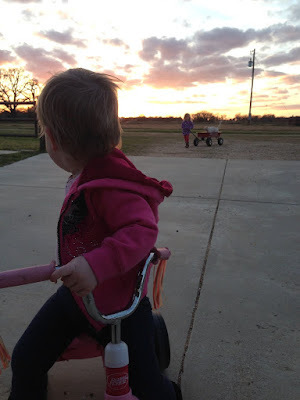 I think Victoria is thinking "Well at least I got a turn on the tricycle!" This morning, I ducked into the master bath to straighten my hair - not really a time-consuming task considering my hair is relatively straight already. A ruckus arose from the girls' side of the house. I could already tell Victoria was being blamed (and lets be honest, she probably was to blame). In their bathroom, between the training potty and the large potty, an unidentified puddle. Shelby was quick to let me know Tori was the cause of the large pool of liquid on the floor. 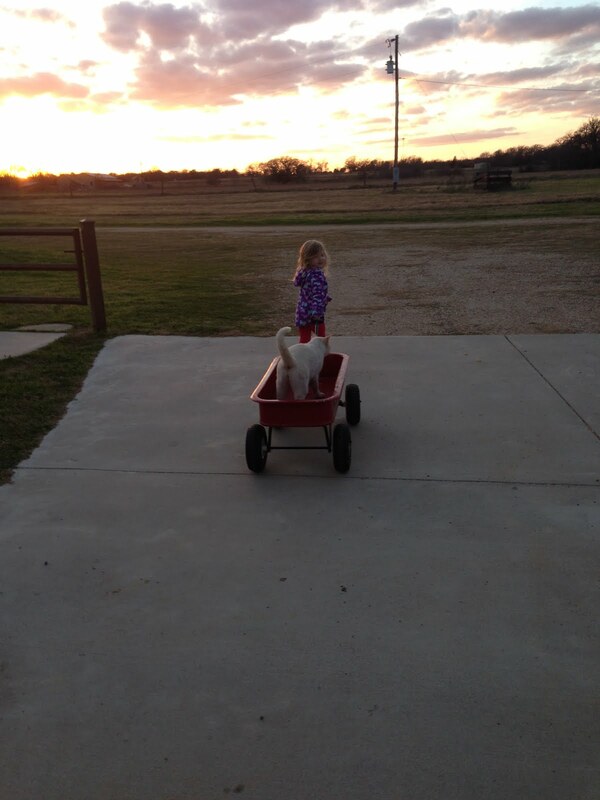 I can picture it now ... she was trying to help big sister empty the training potty's bowl into the toilet. They see me do it all the time. Just yesterday I saw her trying to wipe Shelby's bottom. When in doubt ... just get the Pine Sol out.